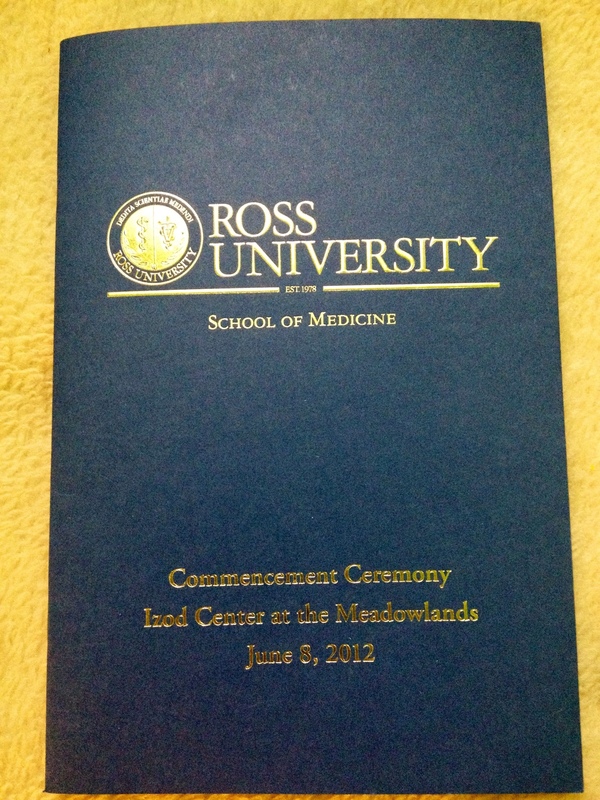 If there’s one thing to be said about a Ross University education, it’s that it produces a special sort of doctor. People who come to Ross and make it through are not the sort of people who will take the road of least resistance. I once heard it said that people who come through Ross are the ones who will take the stairs rather than waiting for the elevator. We’re go-getters. We’re tenacious. We don’t let obstacles deter us. We scoff at naysayers, wherever they may be. Over 700 people graduated with me and as different as we all are, each of us shared one characteristic: we were all willing to do whatever it took to achieve our goal. If I were fighting an illness, I’d certainly want a doctor like that taking care of me. It’s going to take me a while to get used to being addressed as ‘doctor.’ Even though I feel like I’ve been waiting/working most of my life to be one, it doesn’t quite feel real yet. 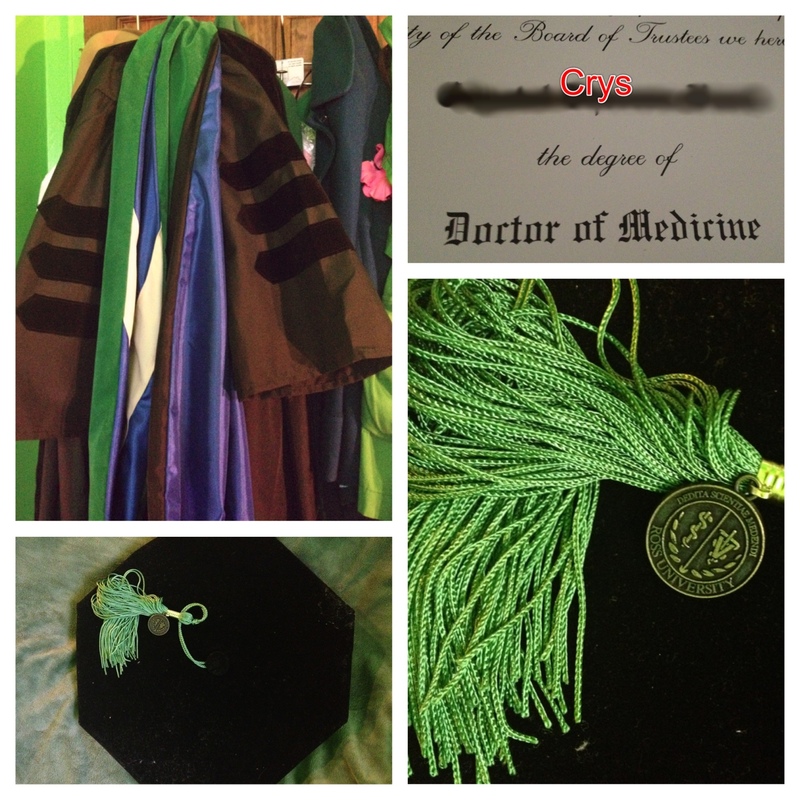 Maybe it will after graduation, or once I get my spiffy embroidered long white coat. I’m a little worried that on the first day of residency, I’ll accidentally introduce myself as a student. I figured I’d accustom myself to my new title by changing my voicemail recording. It still feels a bit strange to say. For everyone who’s been following along on this blog throughout these 4 years of med school and for all the ones who’ve been on my side since before, encouraging me, supporting me, bolstering me even when others tried to discourage me, I want to acknowledge you as well for your part in my achievement. I could not have gotten here without you and I want to thank you from the bottom of my heart. Stay tuned for the next phase of 医者(の卵), the chronicles of a doctor (in training). Today is the beginning of my penultimate semester of medical school. It also happens to be the beginning of the second half of my surgery core. Up until this point, I’ve generally found something to enjoy about every rotation in which I’ve had the opportunity to participate. This time, it hasn’t been easy. Surgery core at Wyckoff is divided into 6 two-week modules: Surgery Clinics, Day Call, Wound Care, OR, Ambulatory Surgery and Night Call. Clinic and Wound Care have been the least intense modules, generally allowing one plenty of time to study/de-stress in the evenings. As I mentioned before, day call is comprised of 14 days straight of twelve hour shifts (usually preceded by a week of clinic with no break in between). Night call is reportedly similar to day call but students are allowed to take one day off per week and are only required to attend morning lecture and grand rounds, not afternoon lectures, so as to rest up for the night shift and not go insane. One may have the opportunity to scrub in on an emergency operation during day call and/or night call but for the most part, the OR action primarily occurs during the OR and Am Surg weeks. Over the course of those four weeks, students are required to scrub in on at least 10 and observe at least 20 surgeries. Part of the reason it’s been difficult to find things to enjoy over the past 6 weeks probably has to do with the general atmosphere of surgery, which while occasionally congenial (especially among the residents/interns), can be downright hostile. Things tend to be tense when you’re constantly in fear that you’ll be pimped to death or screamed at by an attending. * The expectation seems to be that we must know everything except how to actually perform surgeries. Everything else pertaining to bodies and/or diseases is fair game. Case in point: yesterday, two students in my group were drilled on Fournier gangrene while scrubbed in on a totally unrelated procedure. None of us had ever heard of Fournier gangrene until yesterday. In addition, there doesn’t seem to be a way to gauge one’s performance. We haven’t received feedback or grades on any of the assignments or quizzes we’ve had thus far and I’ve heard that hardly anyone makes it out with an A, which is pretty disheartening. Never let it be said that I don’t keep my promises. I vowed in January to update once per month (and twice per rotation) and by God, I’ll stick to it! Well, last month’s updates didn’t really touch upon how awesome my MFM elective at Maimonides was (I’ll get to that) and at this point, I’m 2/3rds of the way through my peds core but the awesome stories will have to wait because on August 17th, I will be taking an exam of epic importance – the USMLE Step 2 CK. It’s taken me a while to really get into extreme study mode but as the fateful date approaches, I am getting more nervous diligent and trying to really study until my eyes bleed. The other epic thing on the horizon is the NRMP which goes live on September 1st – I’ve been trying to get my things together on ERAS but I’ve still got a lot of work to do. Hopefully once the CK is done, I’ll be able to take some time and really check in. Until then, please enjoy this fun game and this cautionary tale. And wish me luck – this is serious business from here on in. Over the course of the past 4 weeks, I’ve worked harder than I’ve ever had to in medical school. I performed more pelvic exams than I did during my ob/gyn core. Even though I thought I wasn’t going to be able to practice for CS, the ER was actually a great setting for honing the skills I need to showcase on the exam. For some schools, ER is a core rotation and now I can understand why so many deem it to be an essential part of medical training. I’d definitely recommend it, especially at SJEH. *The resident was actually a PGY-3 who’d previously done a month of ER during his intern year. When I asked if he needed any help, he declined. 医者の卵 syndicates its weblog posts and comments using a technology called RSS (Real Simple Syndication). You can use a service like Bloglines to be notified when there are new posts to this blog.